We all known that prevention is always better than cure. This is a very important important aspect of dentistry and we aim to help you avoid the need for dental treatment by increasing awareness of dental disease and showing our how patients to avoid it. 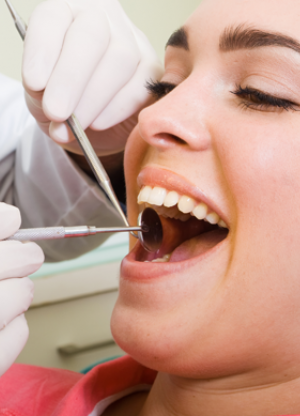 Regular, thorough examinations are very important in order to pick up the first signs of any tooth decay (dental caries) or gum disease (periodontal disease) before they become serious. Early diagnosis of oral cancer, which is becoming increasingly common, may also be detected by regular dental check-ups, thus the chances of successful treatment are greatly increased. Regular visits to your dentist will ensure that your oral health is being expertly monitored and the need for treatment reduced. 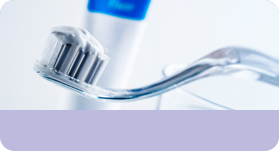 We at Abbotsbury Court Dental Practice understand that a trip to the dentist is not something that most people look forward to and that it may cause you stress and anxiety. Please give us a call and discuss your fears with our trained staff, who will treat you with care and understanding and help to put you at your ease. You do not have to suffer with tooth pain and dental problems, when help is at hand. Poor teeth can affect how you feel about yourself and how other people perceive your. Knowing that you have a beautiful smile can greatly increase your confidence. We can help you achieve the look and smile that you have always wanted with our wide range of cosmetic treatments. Please speak to our receptionist to make an appointment with our dentist to discuss how we can help you achieve the look that you want.